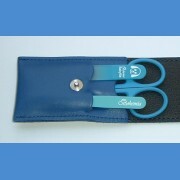 Leather manicure set for boys, exact leather with original design in colour fulfilment. 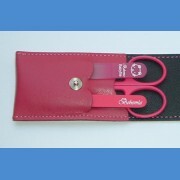 Set c..
Leather manicure set for girls, exact leather with original design in colour fulfilment. Set .. The nail file length 90mm, thickness 2mm. 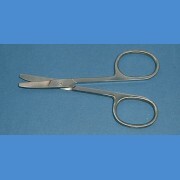 Nail file is extra resistant to breakaage with safety e..
Safety scissors with rounded ending, are made from high-quility rustless steel in silver colour. ..
A gift for every princess, friend, birthday daughter, gift for Christmas, holiday. Just a gi..
Intendend for effective care of soft skin of baby lips - with Collagen. Content 4,5 g Cre..